The next generation iPhone, the Apple iPhone 5, could very easily launch Apple forward into selling 30 million iPhones in the fourth quarter of 2011, according to BTIG Research analyst Wlater Piecyk. Apple was initially expected to sell only 21.5 million (yeah, I know… only) in the fourth quarter. 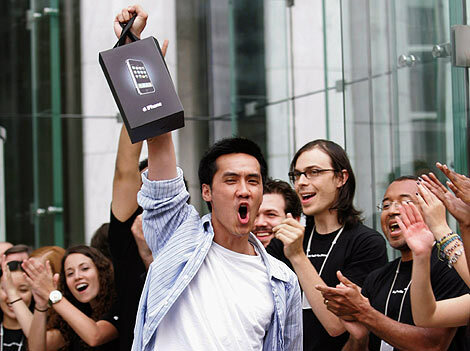 But with Apple breaking records and selling 20.34 iPhones in Q3 2011, the estimate for the fourth quarter needs to be increased. Apple may sell nearly 10 million iPhones in the U.S. alone, accounting for over 30% of the global iPhone sale volume. So who’s going to be standing in line waiting for the iPhone 5?